You haven't really understood Michael Jackson until you've tried to dance like him. While there are versions of Michael Jackson: The Experience for the Wii and the PlayStation 3, only the Kinect requires players to move their entire bodies. Wii and PS3 players can sit around and swing their controllers through the air, but there’s no faking it with the Kinect — gotta grab that groin and knock those knees. Anyone not willing to risk humiliation should stay away. Perhaps more than any other game available right now, Michael Jackson: The Experience is not for the faint of heart. For one thing, it’s incredibly athletic. The game features more than a dozen songs for dancing. In some cases, the choreography is the same that Michael Jackson used in his videos. But most of the time it’s really just inspired by the original moves. And that’s fine, because even MJ-lite is tough enough. I started with “Ghosts,” one of Jackson’s stranger and more personal songs, in which angular, skeletal moves are blended into a galloping danse macabre. In the short film, Jackson performs a portion of the dance as a skeleton. At the time, the motion capture technology was a technological novelty. But now the Kinect can do it in my living room, on the fly. I was delighted to finally see the Kinect translating all of me into a game. Every nuance of movement was mimicked by my onscreen avatar. The Kinect even picked up the logo of my “Obesity and Speed” T-shirt. And when the virtual stage appeared and two ghostly backup dancers joined me, I really felt like I was getting the chance to perform in a Michael Jackson extravaganza. Some of the songs — especially the slow ones — have no dancing but feature “Singing Only” gameplay. The Kinect’s karaoke is not as accurate as its motion-sensitivity, and the game is even worse at recognizing my words when it asks me to dance and sing during the same song. But then, the problem was probably me, as I gasped to catch my breath. A few sweaty hours with Michael Jackson: The Experience gave me a new appreciation for the man’s talent in much the same way that Guitar Hero made me a connoisseur of thrash. THE GOOD: In “MJ School,” dancers give video tutorials on some of the more difficult Michael Jackson moves as performed in the original videos. Classics like “The Moonwalk” are taught alongside more obscure moves like “The T-rex.” For someone like me, who has spent entire afternoons pausing and unpausing Jackson’s videos, these are wonderful insights into one of the greatest dancers of all time. THE BAD: The game includes 20 original tracks from Michael Jackson, and most of them have an easy “practice” session alongside a more difficult “dance” version. Unfortunately, it’s not possible to modify the song’s difficulty as I master its moves and lyrics. A three-star song will always be three-stars difficult. There’s no graduating to four-stars unless the game offers a “master performance” version of the same song. As a result, the easy songs quickly become boring, and the difficult songs remain untouchable. 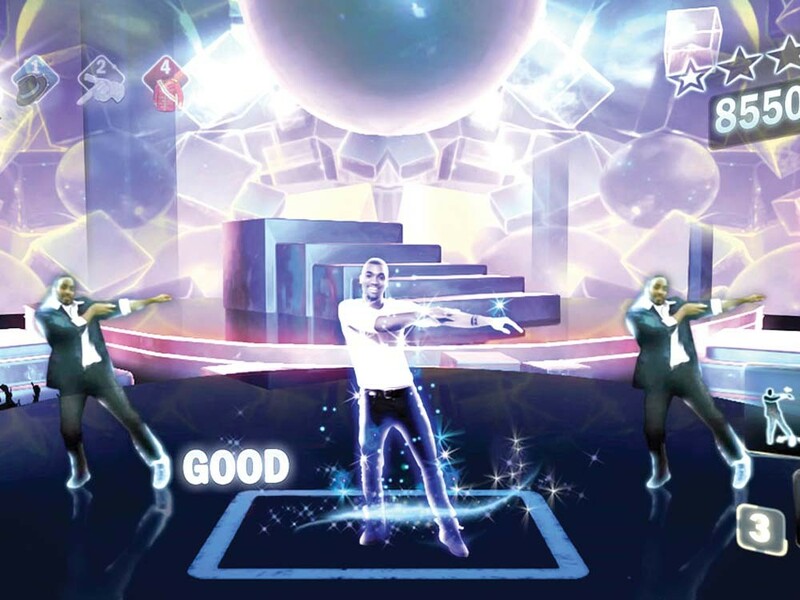 THE BOTTOM LINE: The Kinect’s motion-sensitivity is the only way to experience Michael Jackson: The Experience.